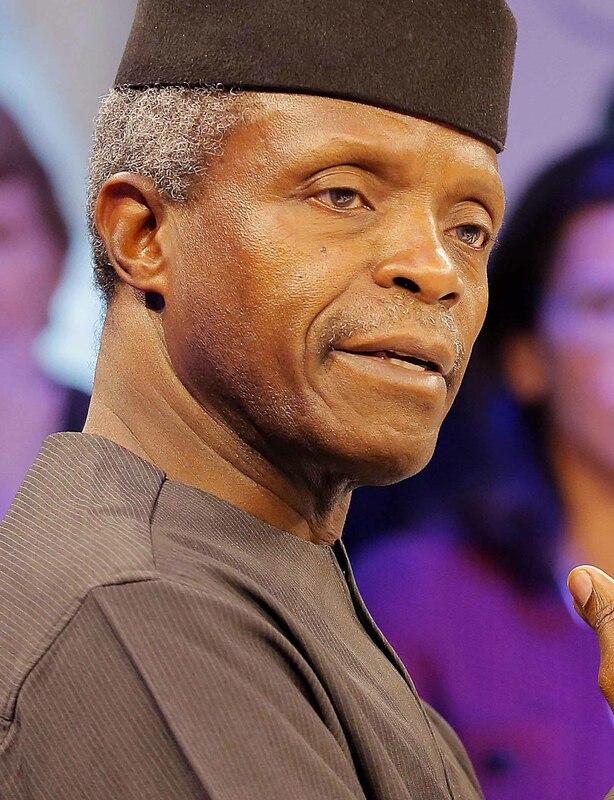 Oluyemi Oluleke Osinbajo, SAN, GCON is the Vice President of the Federal Republic of Nigeria. Born on March 8 1957 at Creek Hospital, Lagos, Yemi is a professor of law and a Senior Advocate of Nigeria. He is married to Oludolapo Osinbajo (nee Soyode), grand daughter of the late sage and statesman, Chief Obafemi Awolowo. They are blessed with three children. Yemi’s early years in primary school were spent at Corona School Lagos. Between 1969- 1975, he attended Igbobi College, Yaba where he was the winner of the State Merit Award (1971); the School Prize for English Oratory (1972); Adeoba Prize for English Oratory (1972-1975); Elias Prize for Best Performance in History (WASC, 1973); School Prize for Literature (HSC, 1975); and African Statesman Intercollegiate Best Speaker’s Prize (1974). Thereafter, he studied for his undergraduate degree at the University of Lagos between 1975-1978 when he obtained a Second Class Upper Degree in Law. Here, he also won the Graham-Douglas Prize for Commercial Law. In 1979, he completed the mandatory one-year professional training at the Nigerian Law School whereon he was admitted to practice as a Barrister and Solicitor of Nigeria's Supreme Court. In 1980, he attended the London School of Economics & Political Science, where he obtained a Master of Laws degree. An accomplished scholar, teacher, lawyer and administrator, Yemi is one of the nation’s leading experts on the Law of Evidence, National and Regional Corporate Commercial Laws and Public Law. In 1981, the University of Lagos, Nigeria, engaged Osinbajo as a Lecturer. From 1988–1992, he was appointed as an Adviser (Legal Advice and Litigation), to the then Attorney-General of the Federation and Minister of Justice, Prince Bola Ajibola, KBE. Between 1999 and 2007, Osinbajo was Member of Cabinet of the Lagos State Government where he served as Attorney-General and Commissioner for Justice. From 2007 – 2013, Osinbajo was once again employed as a Professor of Law, Department of Public Law, Faculty of Law, University of Lagos. 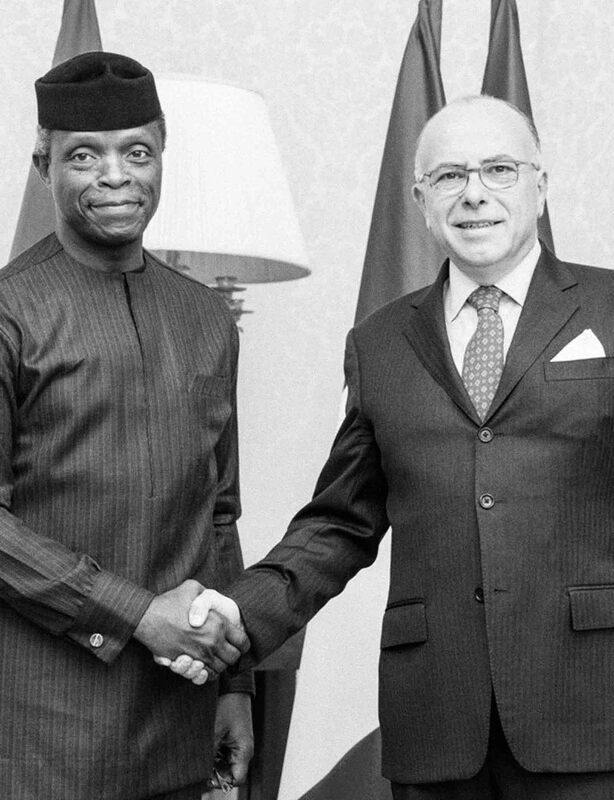 In 2007, Osinbajo became Senior Partner at SimmonsCooper Partners, Nigeria (a commercial law practice). Member, United Nations Secretary General’s Committee of Experts on Conduct and Discipline of UN, Peacekeeping Personnel around the globe, Member, 2006. Partner in Law Firm of Osinbajo, Kukoyi & Adokpaye. Yemi is a member of the International Bar Association and the British Institute of International and Comparative Law and has served on the Nigerian Body of Benchers and the Council for Legal Education of Nigeria. He was also an independent director of CitiBank Nigeria　and an ethics adviser to the board of the Africa Development Bank (ADB). He has authored several books. While in public office as Attorney General, Lagos, Yemi is credited with undertaking far-reaching significant judicial reform in Lagos State, addressing critical areas as judges' recruitment, remuneration, training and discipline. In addition, he addressed access to justice for the poor by establishing appropriate institutions in the Office of the Public Defender (OPD) and the Citizens Mediation Centre (CMC). Yemi founded the Orderly Society Trust (OST) involved in an Excel literacy programme that aims to provide children in public primary schools with the same level of training in English as is available to their counterparts in private schools . Yemi also co-founded Justice Research Institute (Gte), a justice sector think tank as well as the Convention On Business Integrity. 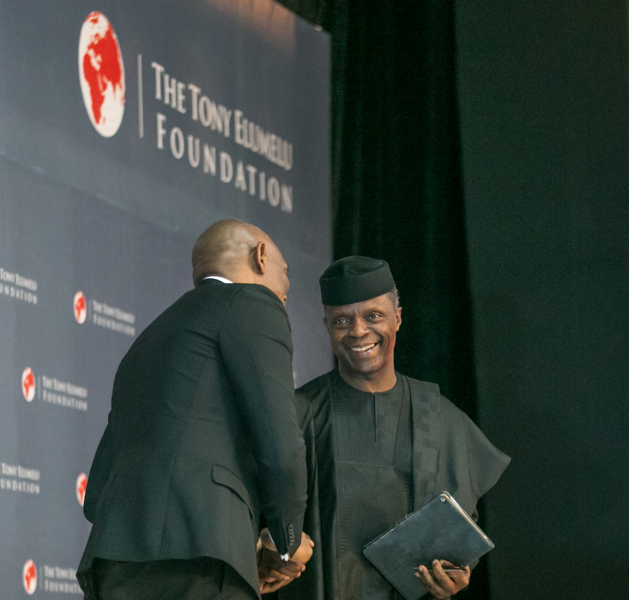 As a spiritual leader, Osinbajo has organized various initiatives that work towards social justice. He organizes the Liberty Schools Project that provides free primary school education with free school lunches to poor children. This Project has three sites in poor communities in Obanikoro, Ikota and Makoko, all in Lagos. Other initiatives include free health care facilities, free legal services, social rehabilitation, skills acquisition for the very poor, a regular soup kitchen service, and free shelter for young people without accommodation. He is an ordained Pastor of the Redeemed Christian Church of God and an Emeritus Ambassador for the Environment in Lagos.